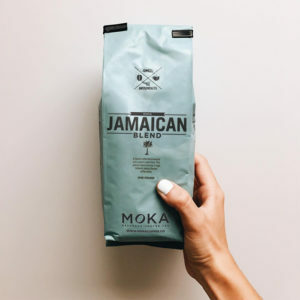 Home / Shop Online / Merchandise / Gifts / MOKA ‘Do Good’ Travel Mug – 20oz. 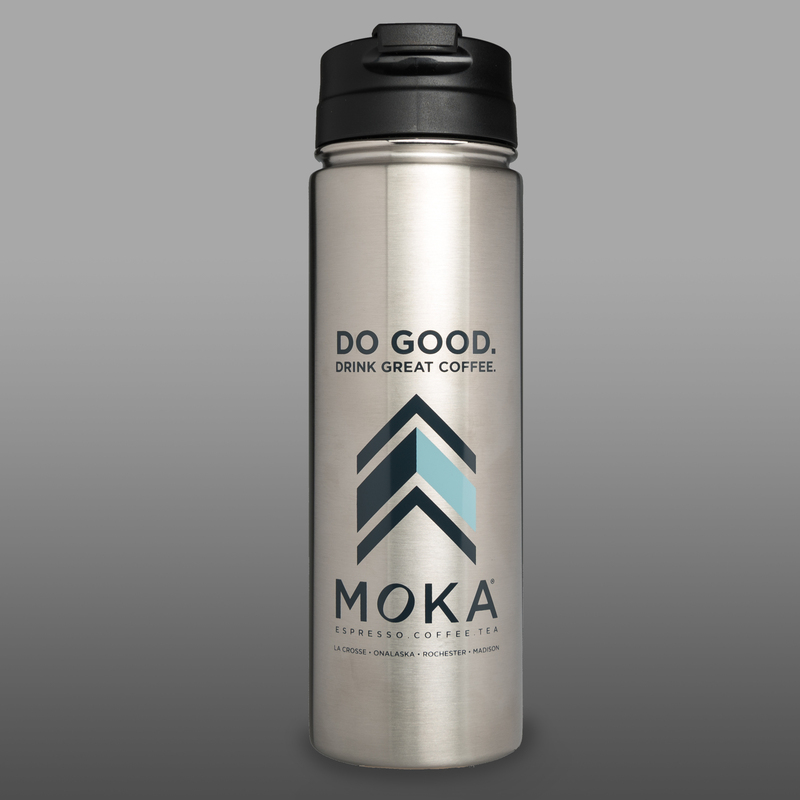 MOKA ‘Do Good’ Travel Mug – 20oz. Positive change and goodness in every cup. 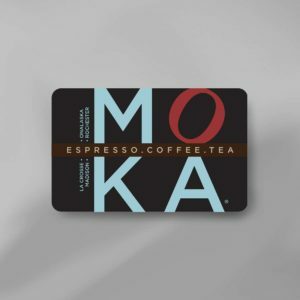 What a great way to start your day! A stainless steel polished finish, with graphics ‘Do Good. 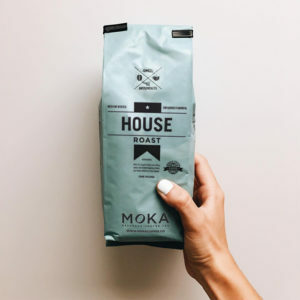 Drink Great Coffee.’ This double wall stainless steel vacuumed insulated bottle keeps your drinks hot up to 12 hours and cold for up to 24 hours. Holds 20 oz.